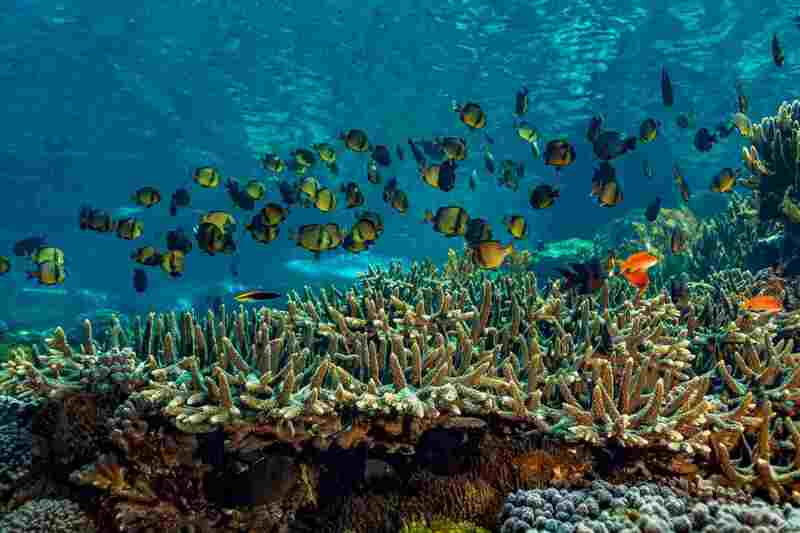 From Acropora to Volcano Corals, browse this large collection of Subclass Hexacorallia member SPS/LPS (Small/Large Polyped Stony) coral photos to view pictures and identify all types of hard corals that are commonly and rarely kept in reef aquariums. Pictures of two primary genera of the Acroporidae family that together makes up almost one-third of all reef-building corals. Photos and pictures of Acropora species Bottlebrush, Branching, Brier, Bushy, Cat's Paw, Cluster, Elkhorn, Staghorn, Table/Tabletop Acropora corals, and Montipora species named Plate, Velvet/Velvet Finger Coral, Encrusting and Whorled Montipora. Members of the stony Faviidae family commonly referred to as Crater Coral in Hawai'i, here are photos of Genus Leptastrea corals in their many different forms, including Horizontal Encrusting (typical and odd color), Massive Exsert, Vertical (Rugose, Cerioid, Crowded, odd colors), and smooth variations. Dendrophylliidae family members, here are photos and pictures of beautiful Genus Tubastraea corals, which are stony polyped or SPS/LPS species commonly known as Colonial, Golden and Orange Cup, and Sun, Black Sun, and Sunflower Coral. Pictures of members of the stony polyped or SPS/LPS Poritidae family commonly referred to as Daisy, Flowerpot, and Ball Coral, here are photos, pictures of popular Genus Goniopora species reef corals. Genus Nemenzophyllia consists of only one known species, N. turbida. Here are a few nice photos, pictures of this SPS/LPS member of the Caryophylliidae family, which is commonly known as Fox, Jasmine, and Ridge Coral. Commonly referred to as Frogspawn, Hammer, Anchor, Grape, Octopus, Torch, Pom-Pom Coral, and same name "Branching" relatives, here are photos and pictures of Genus Euphyllia species stony polyped or SPS/LPS corals of the Caryophylliidae family. Pictures of the most common saltwater aquarium trade stony polyped or SPS/LPS corals of the Oculinidae family, these photos are primarily of Genus Galaxea species that inhabit Pacific reefs that are commonly named Galaxy, as well as Crystal, Star, Brittle, and Durian Coral. 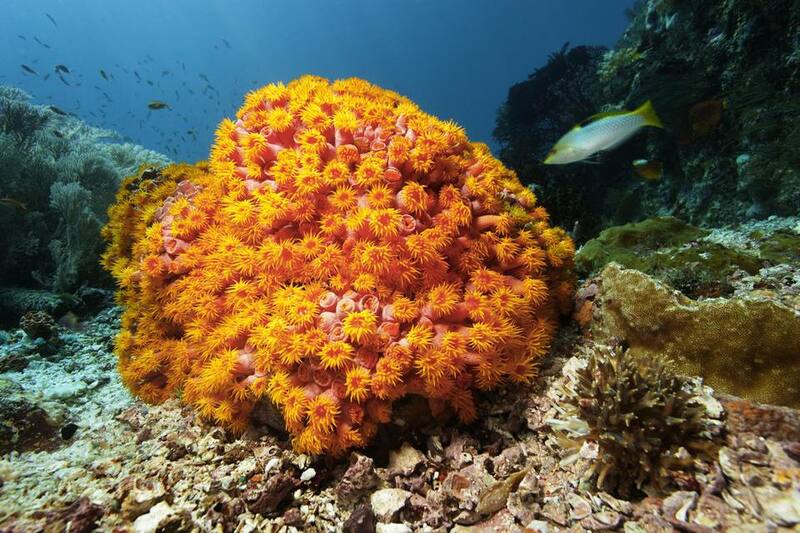 Commonly referred to as Elegant or Elegance, and Wonder Coral, here are photos, pictures of stony polyped or SPS/LPS Genus Catalaphyllia species corals, which are members of the Caryophylliidae family. Pictures of the members of the Dendrophylliidae family, a photo collection of Genus Turbinaria corals, which are stony polyped or SPS/LPS species that are commonly known as Turban, Scroll, Yellow Cup, Pagoda, and Vase Coral. Pictures of commonly referred to collectively as Torch, Trumpet, Candy Cane, Bullseye, and Cat's Eye Coral, here are photos, pictures of Genus Caulastrea species corals that are members of the stony polyped or SPS/LPS Faviidae family. Here are stony Family Faviidae, Genus Leptastrea and Cyphastrea species corals photographed in the Hawaiian Islands by Keoki and Yuko Stender. Although none of these hard corals known as Volcano and Crater Corals resemble the "true brain" Colpophyllia of the Caribbean, they are sometimes referred to as such in Hawai'i.